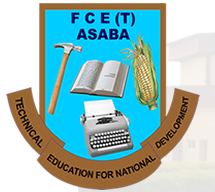 Federal College of Education (Technical), Asaba, FCETASABA matriculated 1,500 newly admitted students and expelled 36 stale students over falsified WAEC results. No fewer than 1,500 students of the Federal College of Education (Technical), Asaba in Delta State were matriculated in this year’s matriculation ceremony. The college also expelled 36 students over alleged falsification of WAEC results, including other related acts. Speaking at the ceremony, the provost of the college, Dr. Nwanze Ignatius Ezaem, said that out of 1,500 students that were matriculated, a total of 1,200 were NCE full time students, 160 part-time students while 110 were PDE full-time students, adding that 30 were part time students.